We use your internet protocol address to help diagnose problems with our server and to administer our website. We also use your internet protocol address to help identify you and your access level. Our website places “cookies” on your computer’s hard drive through your web browsers to keep track of your identity for the purposes of saving your logged-in state so that you do not have to log in each time you visit our website. “Cookies” allow our website to recognize your computer when you access the website. If you would like to prevent the placement of cookies on your computer, or remove cookies from your computer, please access the “Help” portion of your browser or contact your browser provider. Please be advised that if you block or remove cookies from your computer, the website will not recognize your computer and you may not have access to all portions of the website. Our website’s registration and contact forms require users to provide us with contact information to establish accounts. rc3fl.com collects information such as, user’s name, address, city, state, postal code, telephone number and e-mail address. Criminal Conflict and Civil Regional Counsel, Third District uses this information to contact the user regarding subscriptions (newsletters), special announcements and administrative matters. New users must opt in to receive commercial communications and may opt out of receiving future commercial communications at any time. 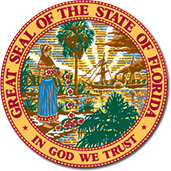 Criminal Conflict and Civil Regional Counsel, Third District does not rent, sell or exchange user information, and generally restricts access to user information to qualified rc3fl.com employees and agents. However, the Criminal Conflict and Civil Regional Counsel, Third District abides by State law in that much of the information of this office is open to the public. Criminal Conflict and Civil Regional Counsel, Third District gathers only user information that is needed to administer its business and enhance and improve its services and products. Criminal Conflict and Civil Regional Counsel, Third District may disclose a user’s contact information if required to do so by law or in the good-faith belief that such disclosure is necessary to comply with an order of a court or government authority, or a subpoena. Criminal Conflict and Civil Regional Counsel, Third District may also disclose a user’s contact in the good-faith belief that such disclosure is necessary to protect rc3fl.com or the website, in conjunction with an investigation or legal, equitable or administrative action or proceeding. Criminal Conflict and Civil Regional Counsel, Third District may collect information on the services and products viewed by you on the website. Criminal Conflict and Civil Regional Counsel, Third District may use this information to customize your experience and suggest and offer you products according to your preferences. Criminal Conflict and Civil Regional Counsel, Third District may use this information to identify patterns and trends of use, but will only release or publish any such information in a manner that preserves your anonymity. Criminal Conflict and Civil Regional Counsel, Third District may transfer part or all of your information in the case of a merger, acquisition, bankruptcy, or other sale of all or a portion of rc3fl.com’s assets. This website contains links to other websites. Criminal Conflict and Civil Regional Counsel, Third District is not responsible for the privacy practices, security practices or the content of such websites. The security of this website and your information is of great importance to rc3fl.com. This website has reasonable security measures in place to protect the loss, misuse and alteration of your information under our control, but we make no assurances about our ability to prevent any such loss, misuse or alteration, and we shall have no liability to you or any third party from any loss, misuse or alteration. We do not warrant that your access to the website is completely secure. You should promptly notify rc3fl.com if your account, user name or password have been lost or stolen. Criminal Conflict and Civil Regional Counsel, Third District will never ask you for your password. If you need a new user name and/or password, rc3fl.com will generate a new user name and password automatically through its computers and send it to your e-mail or postal address. Please note that we may not include the opt-out information in non-commercial e-mails. If you have questions or concerns regarding a non-commercial e-mail, please contact us using the information under “Contacting rc3fl” below. If you need more information about the Office of Criminal Conflict and Civil Regional Counsel, please read about us, or contact our office.